Eamonn Griffin and I have connected on Twitter from time to time and the other day he suggested I might want to have a look at his historical fiction – creative writing PhD thesis. Wow! Now that’s a topic to tweak my interest. Today, Eamonn has written an article on characterization using some of the ideas from his thesis. The Prospect of This City revisits the 1666 Great Fire of London as a race-against-time terrorist thriller. 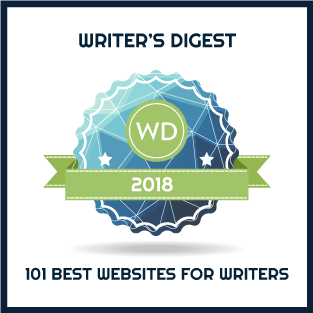 This post explores how several of the novel’s characters were created, paying particular attention to the ways in which historical personages were adopted to create fictional characters. The novel’s antagonist Rufus Challis came almost fully-formed, though it took him some time to arrive. I’d been aware of the career of Thomas Blood through the preparatory reading I’d done (specifically his involvement in pan-European espionage during this period), but hadn’t researched him in any detail. I had, though, marked him out as a possible contender for fictionalisation. I read the available material on him: biographies by Hanrahan (2003) and Abbott (1911). I kept his name for the first draft, though I knew it would change, for several reasons. One, ‘Thomas Blood’ is a very direct name for a villain. Two, invoking him as the architect of events leading to the Fire came too close to writing alternate history, or forwarding a conspiracy theory through the medium of the novel. Prospect doesn’t seek to do that. What I’ve remained interested in, though, is finding a plausible fiction in the gaps left by the various historical records, and in particular, their points of concordance. The real Blood was a mercenary and agent provocateur at large between the end of the Civil War and his death in 1680. He acted on behalf of a number of anti-Carolinian causes. His most notorious exploit was the orchestration of an attempt to steal the Crown Jewels from the Tower of London in 1671. Blood even claimed to have been in London during the 1666 Fire. That was sufficient to explore the notion that Blood could be the model for my antagonist. Hanrahan relates how Blood was convinced that he worked for a higher power, recording in his notebook sundry aphorisms and ‘seventy “deliverances since I was for ye Lord’s cause” … a list of a number of occasions on which he believed that he had escaped arrest of death only because he was doing God’s work’. This was character gold for me. Challis could plausibly be a faith-motivated extremist as his real-world analogue was the same. Again in seeking to imply correlations with the present and to underline Challis’s purpose, I had him memorise the Bible, similar to the hafiz of the Islamic faith, who have committed the Koran to memory. I toyed with the idea of taking the idea further, to have Challis misquote the Bible, to further imply that his was a distorted version of Christian messages, though in the end I abandoned this as an intertextual game too far and perhaps one that wouldn’t communicate easily to readers. Blood had an identifying physical characteristic, an engorged thumb. I liked the thumb, so decided to keep it. Blood, or Rufus Challis as he became fictionalised as (the name came at once: though the symbolism is perhaps obvious) was religiously and politically motivated, as well as bearing a set of grudges about his father’s perceived weaknesses and the ways his family had been treated by successive English governments. The thumb, I decided, would be painful. He would treat this with laudanum. The pain from his hand would be symbolic of his divine inspiration. In turn, Challis would be attracted to hands and particularly to deformities and injuries relating to that part of the body. He would be driven by his very personal form of Christianity, and would use this, and the Biblical references he could summon, to justify his actions. Eventually, the thumb was cut (!) after an editor expressed difficulties with visualising it. I reworked the material, having Challis be lacking the digit instead. In the final draft this is a phantom digit, which still causes him anguish. I prefer the version that now exists, as it’s a step further away from Blood. The notion of having Stephen Piedlow be a character intrigued me, as in the histories he only occurs in Hubert’s recorded testimony, as a co-conspirator. There’s no external evidence of his existence. In my version though, Hubert is telling a kind of truth. Other characters were devised to be honest depictions of real people. These included Henry Bennet – Lord Arlington – and, in the closest I came to having an historical cameo, the then Lord Mayor of London Thomas Bludworth, the similarity of his name being another reason not to use ‘Thomas Blood’ as a name. Thomas Farriner senior was an extrapolation from the history. The surname was modernised from ‘Farynor’ following the example of Porter’s (1996) and Tinniswood’s (2004) non-fiction narratives (though Milne  gives the name as ‘Faryner’). Those characters aside, I saw the other actors as deliberate fictions of one form or another. Alice Corbould was an extrapolation from the records of the unnamed maid. In his version, Hanson gives the name ‘Rose’, though ‘as a help to the reader’ he admits to having ‘given names to one or two minor, previously anonymous characters such as Thomas Farriner’s servants’. The maid, being unable to make the jump to safety, became the Fire’s first victim. The rest is fiction, and, as we see her only from the perspectives of other characters, their fiction. It was important to give this otherwise anonymous footnote to the Fire a name and a story, and with that, a life. Many thanks for being on the blog, Eamonn. An intriguing look at extracting fictional characters from historical figures. London, 1666. Agent provocateur Rufus Challis is given a secret mission by the Dutch government; an attack on England’s capital in reprisal for wartime losses suffered that summer. He has a single weekend to put his plan into motion. When Tom Farriner, second son to the King’s baker, intercepts an aspect of Challis’s plan, he investigates. Already, a friend’s blood stains the cobbles. Is Tom man enough to bring Challis down? And to what lengths is Challis prepared to go to in order to see the city fall? 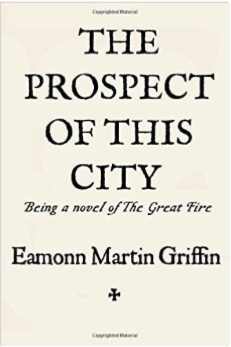 A novel for fans of CJ Sansom, Hilary Mantel, and Manda (MC) Scott, The Prospect of This City is a dark historical thriller with a blade concealed in its sleeve.